Nothing like a couple of weeks of sub-freezing weather and snow to put a vacation in mind. Some place warm and pleasant… Some place with all-ages family entertainment… A location with decent weather of the warmer variety… And we have such a place in mind, have even designated our timeframe. Of course by then the weather should be considerably better around here, and who knows how high the gas prices may climb. Most importantly, you have to fight your instinctive urges to couch the journey in the trappinsg of a wagon train or cattle drive or sea expedition and avoid that ‘onward or else!’ mentality. After the bus wreck and a mostly calm 45-minute ride on a smaller bus to the next town, Higuey, we arrived at an emergency medical clinic. Located within what looked like a four-story retail-type brick building, sharing space with little shops and restaurants, the Clinica Dr. Virgilio Cedano looked a lot different than the big sterile-looking facilities we associate with an ER. I was on alert because we’d already passed what looked like a hospital on the outskirts of town, and the clinic certainly looked older and less modern. We later learned that you have private and public hospitals in the Dominican Republic, and not all the public hospitals are equipped with ERs. Don’t know if that was the case in Higuey, but we concluded the private option was likely better equipped. The doctor at the hotel told us this was probably the better facility. Funny thing about car crashes. They always seem to unfold so slowly, like honest-to-god Hollywood slow-mo, except you can’t really do anything… At least that’s been my experience. First of all, Jackie and I are OK. A little banged up, a little sore, but OK. I have bruised ribs and a sore lower back. Jackie has some bruises and stitches in her lower back. It could’ve been worse. 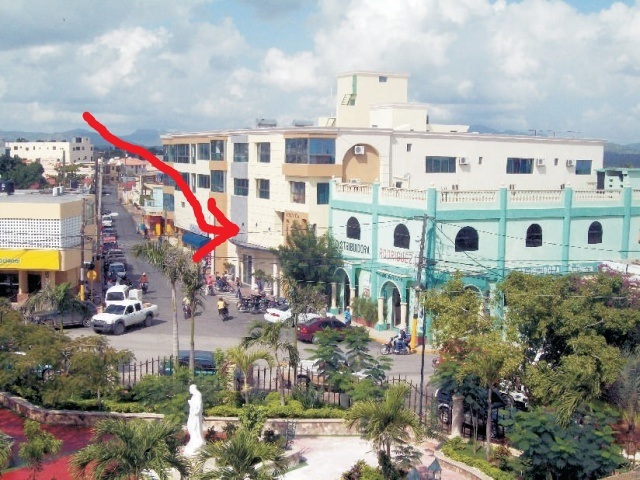 Beemsville live from La Republica Dominica*. Arrived on-time and with no problems. The rooms are nice, the beach is close, and the drinks are plentiful. No problema. Tomorrow it’s Santo Domingo, the oldest capital in the Americas. And as it turns out, yours truly is not the whitest man here (because there are Swedes, Irish, and pasty English in the house as well).